The 5th edition of the ‘Public Organization of the Year®’ 2018 took place on 6 March 2018. 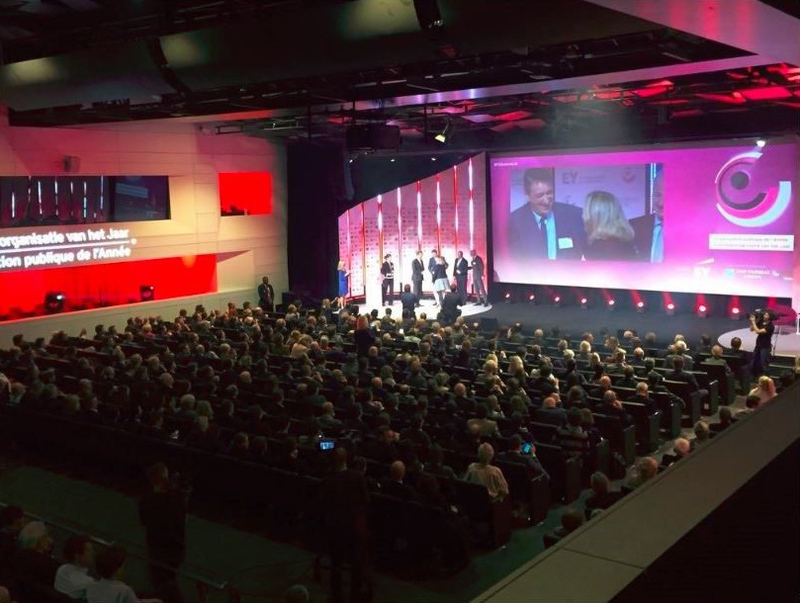 For the fifth time in a row the CDR team was responsible for the media relations during the event, organized by our client EY, in collaboration with the newspapers De Tijd / L’Echo and the bank BNP Paribas Fortis. The prizes were awarded in the presence of several Belgian ministers and prominent figures from the public and private sector. The big winner across all categories was the ‘Antwerp Port Authority’, which was awarded the ‘Public Organization of the Year®’ 2018. New this year was the ‘Sustainability Award’, which went to the ‘Flemish Tax Administration’. The award for ‘Federal Public Organization of the Year’ 2018 was given to the ‘Federal Department of the Interior’. In addition, the jury chose the ‘Kunsthuis Opera Ballet Flanders’ as ‘Regional Public Organization of the Year’ 2018. Last but not least, the award for ‘Local Public Organization of the Year’ 2018 went to the City of Wavre. The event was not only a success for the winning organizations but also for EY and CDR. the PR team’s hard work led to wide coverage in both national and regional media, as well as in the trade press. Congratulations to all of the winners and to EY for once again organizing a fantastic event.